MindBody is an all-in-one piece of software for any fitness business, and with all of the data it collects, there is a lot of information to be utilized when compiling reports. Having all of this information at your disposal provides you with the opportunity to get specs on all areas of the business. Its reporting is so comprehensive that it caters to both the experienced entrepreneurs who are looking for an in-depth analysis and to those who are just starting out and learning how to evaluate the financial position of their business. MindBody also acts as a client relationship management tool by collecting data about your clients, providing reports to assess your customer pool, and aiding in marketing and sales performance. MindBody is unique compared to its competitors because it has such seamless customer-facing integration. Potential customers can manage their class schedules, read about their instructors, and even pay for their classes online by registering with MindBody. This allows the software to collect information on each of the customers who register online and tracks them through the sales process, gathering information along the way. Feedback is one of the most important aspects of client relationship management, and MindBody has a report for that as well. It allows clients to leave notes and ratings about certain instructors and classes. It also produces reports directly related to sales turnover as well as reports such as the Big Spenders report, which indicates customers have contributed the most to your revenue stream. Being able to take feedback from the individuals in your target market is so useful to every aspect of your business that having this easy-to-use outlet for your customers to leave their thoughts is crucial. MindBody collects information that can aid in tracking the effectiveness of both your marketing and your customer retention efforts. Whether you are in the business of yoga, food service, or a store front, making sales journal entries on a daily basis is the most effective way to catch mistakes and inconsistencies in your cash flow. If you are using a cash register in your business, there is potential for money to be stolen or misplaced. MindBody provides the user with a POS functionality to pull individual sales reports up, or to review a section of information through a date range, so that you can manage your money and never lose track of cash. 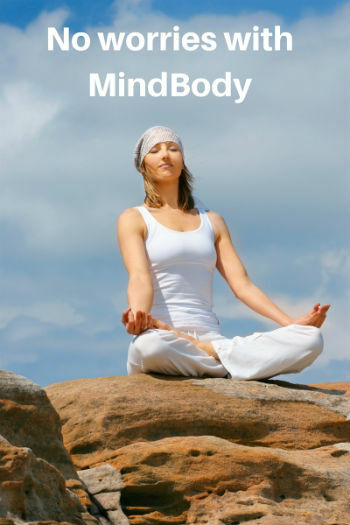 MindBody combines the funds from credit card sales into one deposit each day. Regardless of the credit card type, the funds are batched together, making the accounting for the daily sales clear and effective during reconciliations. If the daily sales entries are done right, and the reconciliation process is followed through, mistakes on behalf of MindBody and/or the operator of the cash register will be assessed regularly. Although I have seen some inaccurate deposits and mistakes in the payment-processing end, they were always fixed within a week of the mistake. MindBody Software is a great option for businesses in the yoga and fitness studio market, acting as a tool to aid in marketing analysis, sales analysis, and client relationship management. It's an easy to use piece of software that is a great tool for your business, providing information that will help your business reach its full potential. We like to consider ourselves experts in MindBody and yoga studio bookkeeping, so please feel free to reach out if you have any questions!